I invite you to enjoy time in Italy from the comfort of your favorite reading chair, or wherever you can find quiet time to take in bella Italia. My deep passion for Italy is reflected on every page of these books. Each year, when I return to Italy, I find further inspiration. I look forward to sharing impressions and observations of discovered hidden treasures in the third volume of the Trilogy. A few excerpts from my books are on the “Excerpts” page of my blog. Salute! A richly descriptive travel memoir, not a travel guide. Tuscan Echoes is a collection of short stories, written by the author while living through a summer season in the heart of Florence. His luminous prose brings to life the ordinary and, in so doing, he illuminates the extraordinary about Italian life. The first in a trilogy about Italy, this is a book to share as a gift with all those who love this diverse and varied country. 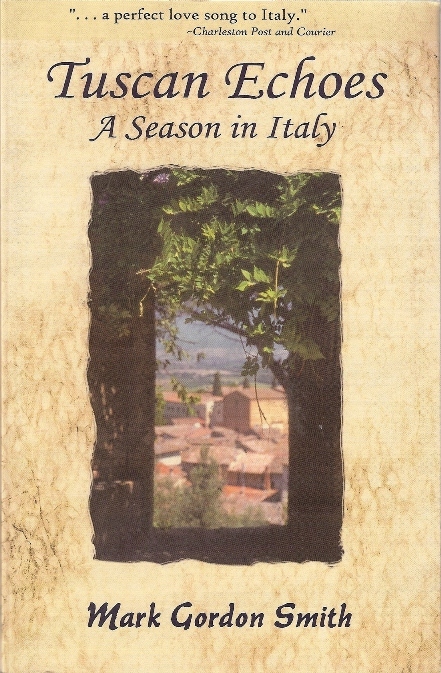 Author Mark Gordon Smith’s Trilogy opened to critical acclaim in Tuscan Echoes, A Season in Italy. In Tuscan Light, Memories of Italy, he continues to explore the culture of a country which remains stable even in the midst of tremendous social and economic change. Through his lush and evocative writing he shares stories of the Italian love of family, history, food, wine and Italians’ never-ending passion for place and land. 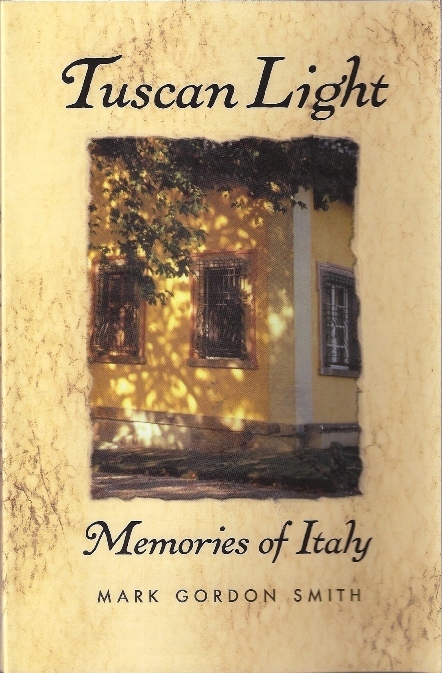 Tuscan Light, Memories of Italy is a moving and breathtaking tribute to bella Italia, one which firmly establishes the author as one of the premier travel writers of our day.